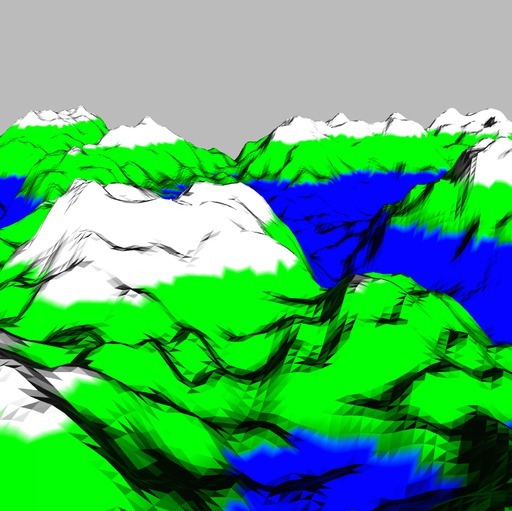 examples/canvas.html [view source] : It shows a perlin terrain in a canvas 2d. examples/planegeometry.html [view source] : It displays the terrain in 3d with three.js. Or you can install with bower, as you wish. It is possible to enhance the rendering of this heightmap with some vertexColor, and a smoother shading if you want.